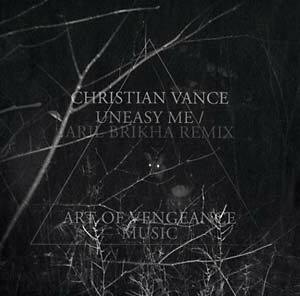 Australia's electronic export, Christian Vance, delivers a title-track with both tension and dancefloor romance. Pursuing a restless path, the rhythm and melody come together like an intimate rendezvous caught in the headlights late at night. Drum machine meets synthesizer, unresolved and unrestrained. Aril Brikha's "Sleazy Me" remix resonates the original for a later hour, driving the energy deeper never to see the light of day. The B-side "Gymnastics 411" is all about the fun that happens afterwards.